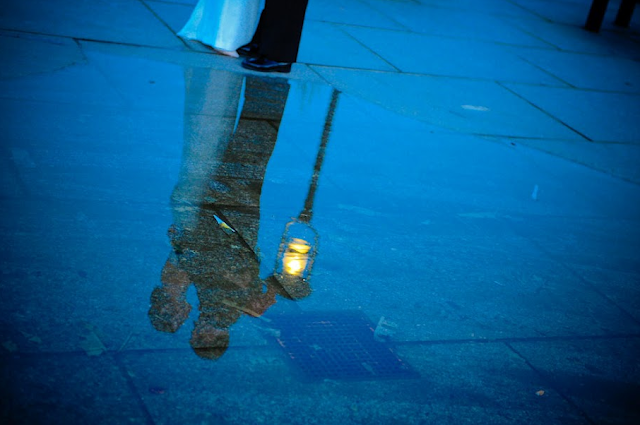 Whether your style is whimsical and colorful or classic and elegant, weddings at the New England Aquarium can make that special day all the more memorable. The waterfront venue never fails to wow guests. Our chefs know how to please many palettes. And the experienced events staff seamlessly orchestrate the evening so the guests of honor don't have to. These positive experiences shine through in the thank you notes our coordinators receive from happy newlyweds. 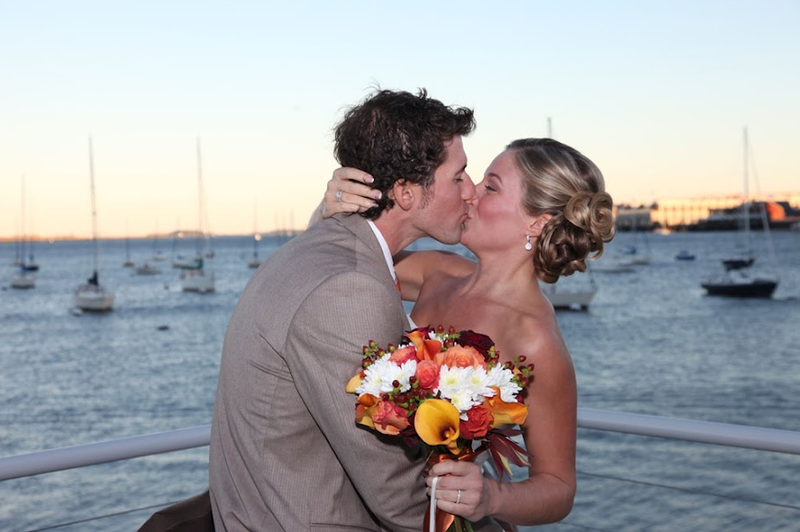 Here is some feedback from weddings hosted at the New England Aquarium. "Everything was wonderful at the wedding...We could not be happier about the outcome of the event. The cocktail hour was a huge hit, which surprised even my local friends, who know the Aquarium well but did not realize that an event could be celebrated so perfectly in that space! I highly recommend that all couples have their cocktail hour IN the main building so to give guests a complete experience. Then there were so many people who just loved the moment that they entered the tent, not realizing that it was going to be such a beautiful ambiance, and were especially overcome by the easy access to the boardwalk throughout the evening...Thank you very much for all your help in making our wedding reception perfect, and for your warm welcome to us, and my family on the night of the event. It was truly a pleasure working with you!" — Christina F.
"Let me start off by saying that you are top-notch...Jaime and I very much appreciate that you delivered on every commitment that the Aquarium made to us over the past year. Moreover the energy, hard work, and time of your team on August 13 was obvious. We can't thank you enough for everything you and your staff did for us. Thank you again and we hope our paths will cross again!" – Kevin G.
"Just wanted to send you a quick note to thanks for everything. Amanda and Matt's reception was perfect! All of our guests were raving about the place, the food, the view and the access to the aquarium. It was amazing and many said the best wedding they have ever been to. Thank you for putting this all together for us. It is now a perfect memory for us. Can't wait to see the pictures so we can re-live it again. Thanks so much" – Denise C.
"I am most certain you are on to the next event with another happy couple, but I wanted to extend my thanks for your hard work during our wedding. You were great! The reviews coming back are fantastic! The food was great, venue was great, staff was superior, and the whole evening seemed so organized and planned out thanks to our hard work. Everyone just had so much fun and really enjoyed the aquarium ambiance." – Chuck F.
Find more pictures and ideas from weddings at the New England Aquarium have been posted on this site, this site, this site and this site. We got married here in September and it was absolutely perfect!! Abigail was more than helpful and the food and location were amazing! Everyone kept telling me how they had the best time and couldn't believe they were able to walk around the aquarium and see everything! It was definitely the most memorable wedding and really was the perfect day! Even though it rained you couldn't even tell! it was still picture perfect. I highly recommend this as a venue to anyone who wants to get married in Boston! Making a brighter future for manta rays!